In the framework of his visit to People’s Republic of China, Macedonian Defence Minister Konjanovski will have a meeting with General Xu Cai Hou, Deputy Chairman of the Central Military Committee of the People’s Republic of China, which is chaired by the President of People’s Republic of China. 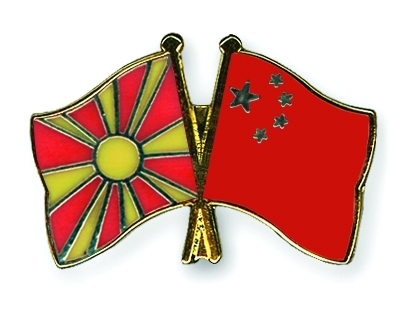 During the meeting, Minister Konjanovski conveyed the regards of the President of the Republic of Macedonia, the President of Government and the Chief of General Staff of the ARM, expressed his gratitude for the principal policy of People’s Republic of China for the Republic of Macedonia and for the strong support that the People’s Republic of China is providing to our country. Underlining that the priorities of the Republic of Macedonia are the Euro-Atlantic integration, Minister Konjanovski emphasized that at the same time we want to build excellent communication and cooperation with People’s Republic of China, thanking at the same tine for the understanding that People’s Republic of China has for our positions and priorities. 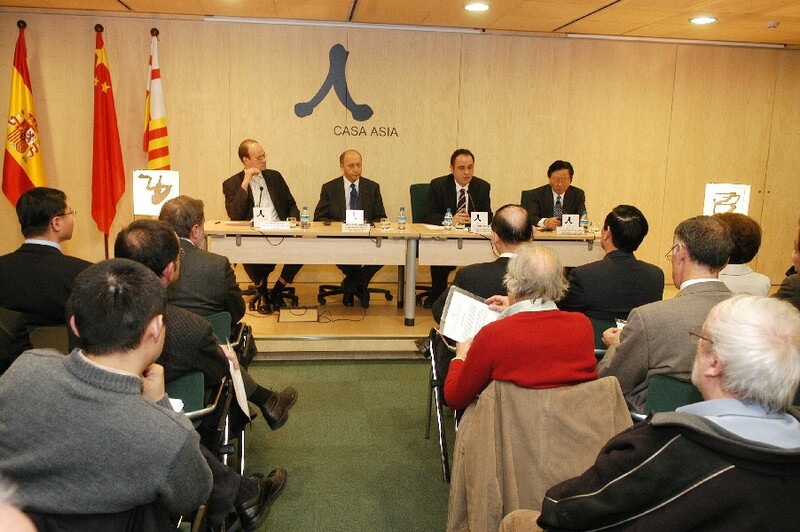 At the meeting, which was attended by the Deputy Chief of the Army of People’s Republic of China, General Cai Hou emphasized the enhanced military cooperation between the Republic of Macedonia and People’s Republic of China, which was intensified this year with joint activities of both Ministries and armies and in accordance with the bilateral cooperation plan, it will continue next year as well. Furthermore, General Cai Hou underlined the economic development and industrial growth of People’s Republic of China. Minister Konjanovski emphasized the position of the Republic of Macedonia for one China and welcomed the efforts of the People’s Republic of China for peaceful reintegration of all territories emphasizing that People’s Republic of China is a country that exports peace, stability and security. In direction of enhancing and intensifying the cooperation, they discussed the visit of the Deputy CHOD of the Chinese Army to the Republic of Macedonia that is to take place in June this year, and the Deputy Chairman of the Central Military Committee of People’s Republic of China, General Cai Hou invited the Defence Minister Konjanovski to visit People’s Republic of China in the course of next year. Conveying his pleasure from the cooperation hitherto, the two interlocutors agreed that the cooperation should be even more intensified in the future through frequent meetings on various levels. During his visit to People’s Republic of China, the Minister of Defence Zoran Konjanovski, in addition to the meetings with high defence and military representatives of People’s Republic of China will also attend the Chinese – European high Forum of Political Parties that is being held in Beijing. Posted by Yilan in China, EU, European Union, Yunanistan. New York University professor Nouriel Roubini said Greece and other “laggards” in the euro area may be forced to abandon the common currency in the next few years to spur their economies. A “real depreciation” in the euro is needed to restore competitiveness in nations including Spain, Portugal and Italy, he said in an interview on Bloomberg Television today. The euro will remain the currency for a smaller number of countries that have “stronger fiscal and economic fundamentals,” Roubini said. The European Union and International Monetary Fund last week approved a 110 billion-euro ($139 billion) lifeline for Greece to arrest the country’s fiscal crisis and stop the turmoil from spreading. Europe’s debt woes may push it into a “double-dip” recession, growth in advanced nations will be “anemic” and China’s overheating economy risks a slowdown, Roubini said, adding that Greece may still eventually need to restructure its debt. Greece agreed to the package on May 2, pledging 30 billion euros in wage and pension cuts and tax increases in the next three years to tame the euro-region’s second-biggest deficit. Prime Minister George Papandreou had revised up the 2009 budget deficit to more than 12 percent of gross domestic product, four times the EU limit, and twice the previous government’s estimate. EU officials revised the deficit further on April 22, to 13.6 percent of GDP. The fiscal changes Greece needs to undertake as part of an international bailout will be an “ugly” process that will only get worse, Roubini said. Public opposition to the plan sparked riots in Athens last week that led to three deaths. The 16 euro nations, jolted into action by last week’s slide in the currency and soaring bond yields in Portugal and Spain, this week agreed to offer financial assistance worth as much as 750 billion euros to countries under attack from speculators. The European Central Bank said it will counter “severe tensions” in “certain” markets by purchasing government and private debt. The MSCI Asia Pacific Index rose 0.2 percent to 119.02 as of 12:50 p.m. in Tokyo, as some companies forecast higher earnings. Standard & Poor’s 500 Index futures dropped 0.2 percent and the euro fell against the dollar for a second day, after climbing as high as $1.3094 on May 10 after eurozone officials announced the agreement. “The markets are not convinced because while there is $1 trillion of money on the table, that money is going to be disbursed only if these countries do massive amounts of fiscal consolidation and structural reform,” Roubini said. One or more European economies may default on their debt, he said. The lending plan is just “another nail in the coffin” for the currency, which is at risk of being “dissolved,” investor Jim Rogers said in a Bloomberg Television interview in Singapore today.